A top financial organization was concerned about security problems with their IPMI management network. They were having to deal with security vulnerabilities on the Management Port of IPMI enabled devices. In addition, the IPMI credentials had to be changed periodically to reduce their security exposure and Java based KVM (Keyboard-Video-Mouse) viewers had compatibility and security issues. They also needed secure serial and power solutions to best utilize the space. 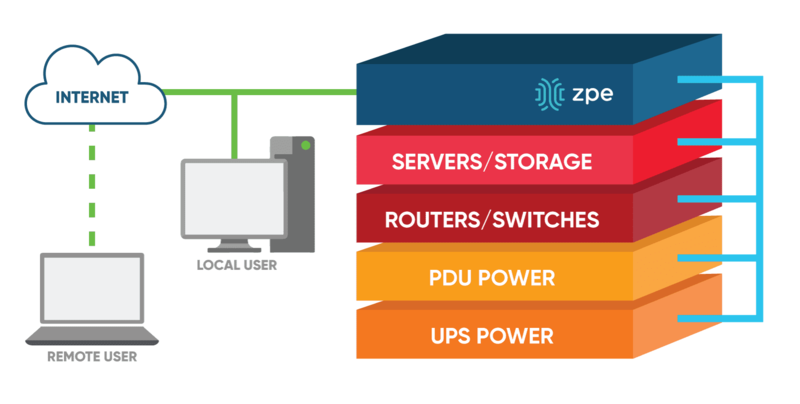 ZPE Systems’ Nodegrid Serial Console™ secures the access to all serial ports and allows a network separation implementation via its two network interfaces, protecting IPMI and IoT management ports. With Nodegrid Serial Console running Nodegrid software, the customer is able to manage all devices, regardless of vendor for unparalleled security, access, and control. Only authorized users are able to access serial ports, and IPMI / IoT management ports in Nodegrid. Weak IPMI credentials and IPMI security vulnerabilities are no longer exposed to the network. Nodegrid functions as a gatekeeper of all the devices, elevating the security of the management network. Nodegrid also understands multi-vendor Java based KVM viewers and knows how to render them in HTML5 format. IT staff can manage more devices with fewer cables, IP addresses and configuration time using our industry-exclusive 1U 96 port serial console server. The Nodegrid Serial Console server consolidates and manages attached devices via a Serial Port Connection including: servers, network routers and switches, storage, PDUs, UPSs, and any other device with a serial port. Nodegrid Serial Console also creates a secure network separation to protect IPMI and IoT management ports and maps IPMI and IoT devices to authorized users. Nodegrid has the ability to handle native Java based KVM viewers, translating them to HTML5 sessions and addressing security and compatibility issues. Provide DHCP IP addresses on the secure management network to your IPMI and IoT devices out of Nodegrid Serial Console and save configuration time.